Sri City, April 7, 2017 – Mr. Kim Hyung Tae, Consul General of Republic of Korea in Chennai, visited Sri City on Friday. Mr. Ramesh Subramaniam, President, Sri City Foundation extended a warm welcome, and briefed him on the infrastructure, unique features and the brisk pace of development in Sri City. 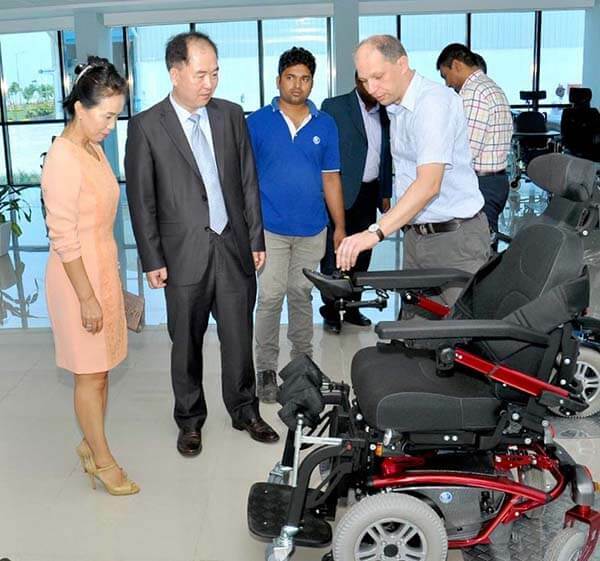 Impressed with the business friendly ambience, Mr. Kim Hyung Tae wished,”Sri City would soon develop as a Centre of Indian Economic Growth.” Expressing happiness over the presence of two Korean companies in Sri City, he mentioned that he would introduce Sri City’s business potential to the Korean companies interested in investing in India and suggest business delegations to visit Sri City. The purpose of the visit was to witness the existing infrastructure at the mega industrial park and assess its business potential. 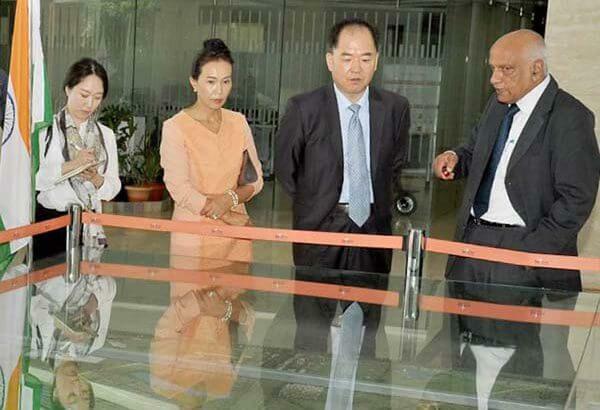 During the interaction, Mr. Kim Hyung Tae evinced keen interest and inquired on different aspects of Sri City. Following the briefing session, the Consul General visited the production unit of Vermeiren, and had a close glimpse of the production facilities and witnessed the works in progress.